Not every story has to be told with expansive cutscenes and dialogue. That’s the idea behind a lot of games like Dark Souls and the like, and it’s an idea that Derek Yu, the one-man dev team behind Mossmouth, the studio developing Spelunky 2 is trying to stick to. While catching up with Yu on the GDC 2019 showfloor, we were able to learn a bit more about the game, as well as talk about his plans to focus heavily on player choices and consequences. 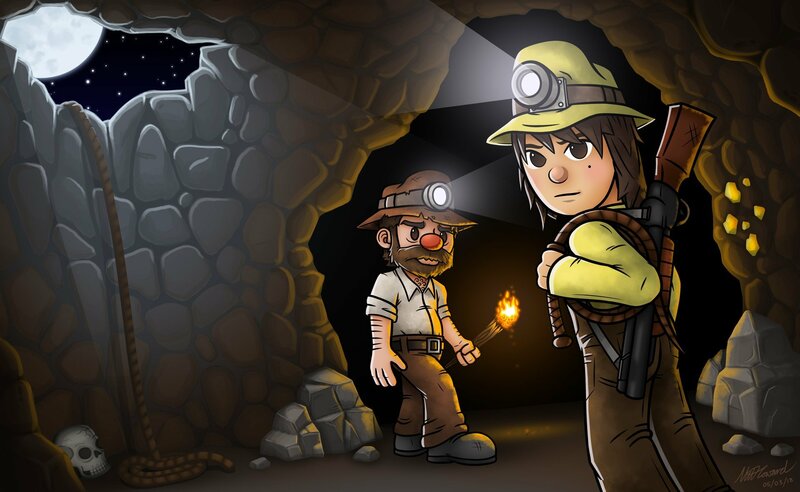 We already had a chance to try out Spelunky 2 at GDC this year, with our own Ozzie Mejia writing up a fairly glowing piece on the game. Make sure you check out our hands-on with Spelunky 2 if you’re curious to read Ozzie’s thoughts on it. Now, back to the topic at hand. While talking with Yu, Asif Khan—the man with the briefcase himself—was able to learn a few key things about the upcoming rogue-like adventure. First, no Nintendo Switch version has been confirmed. Asif tried to get some news, but unfortunately Yu was unwilling to budge on the matter. Second, we learned that quite a few changes are coming to Spelunky, and while it remains the same at its core, we’ll also see some new interactable characters for players to run across. All of this is part of what Yu hopes will be a living breathing world, full of player choice and consequence. He was adamant when talking about his plans that each player’s choices play a large part in how their run progressed, and it’s definitely a trend we’ve seen throughout Spelunky since the game’s original release several years back. You can check out the full interview above for all the details—it’s worth watching, I swear. Be sure to head over to the GamerHubTV and Shacknews YouTube channels as well, so you don’t miss out on any additional interviews and video content.